or most any patriotic celebration in the U.S! 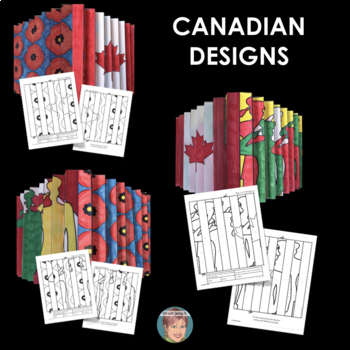 ...and for my Canadian teachers and colleagues, I have also included 3 designs specific for Remembrance Day! 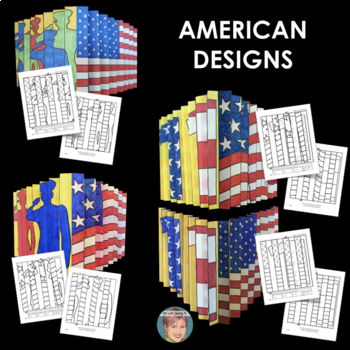 I have priced this resource assuming you will be using the American designs OR the Canadian - not both (but of course you are free to use them all). So in other words - you aren't paying more because both countries are included! What's an Agamograph? A picture that morphs into another when you look at it from a different angle. The final image (after folded and put together) is approx. 10" wide by 8" high or with the writing prompt approx. 10" wide x 12" high. It's hard to say but easy to do! For patriotic holidays like Memorial Day, Independence Day and Veterans Day I have created an image of the American flag that morphs into soldiers. I have also included designs for September 11th where the flag and an "11" are combined. For Remembrance day I have created three designs that include the Canadian flag, soldiers and poppies in different combinations. 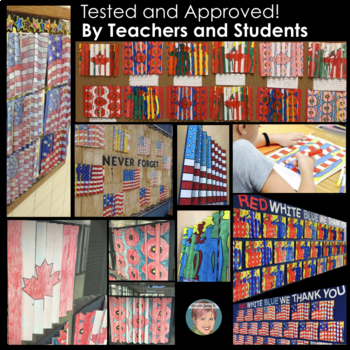 There is a lot of "wow factor" in this art activity--the students love the surprise. And best of all, they did it themselves!! 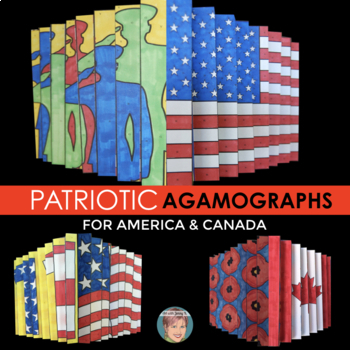 Use this activity for your anticipatory set or as a final art project at the end any patriotic unit or celebration. I promise that it is easier than it seems! This is a project often used by art teachers; however, I’ve taken out most of the “prep and mess” so that classroom teachers can find this useful and fun as well as art teachers. Use it along with your Memorial Day, Independence Day, Veterans Day, 9/11 or Remembrance Day studies.